This venue does not have any available dates for booking. Please check again later. 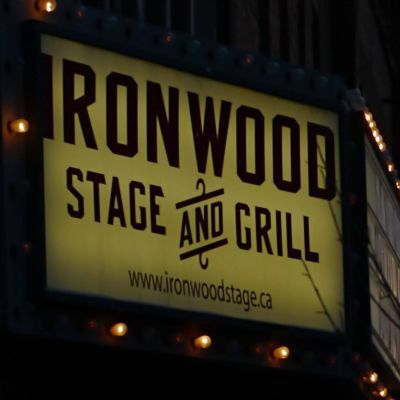 THE IRONWOOD STAGE & GRILL is an Accessible, All Ages, ~140 seat restaurant and lounge, that hosts live music every night of the year. We're located at 1229-9th Ave SE, near downtown in the Inglewood district of Calgary, and there's ample public parking nearby. RESERVATIONS: Reservations are strongly recommended for shows. The Ironwood Stage doesn't sell tickets - we add the show price to your bill at the end of your evening. Due to the popularity and demand of many of our performances, private tables are not always available. On busy nights, table seating is often shared with friends you haven't met yet... We will hold your reservations for 15 minutes after the scheduled time. For sold out shows, we are unable to guarantee your reservations after this time. Call (403) 269-5581 to make a reservation. Unfortunately, We don't accept reservations through Twitter or Facebook. SHOWTIMES: Shows usually start at 8PM on Sunday - Tuesdays and Thursdays. Shows usually start at 9PM on Wednesdays, Fridays and Saturdays. Exact start times are set by the performers, and not by the Ironwood Stage. SHOW PRICING: Please contact the Ironwood for pricing and info.